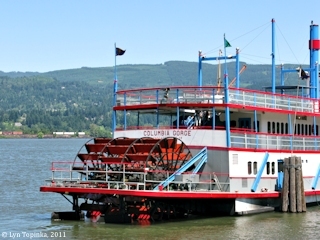 The Sternwheeler "Columbia Gorge" was built by the Nichols Boat Works of Hood River, Oregon and launched on the Columbia River in 1983. 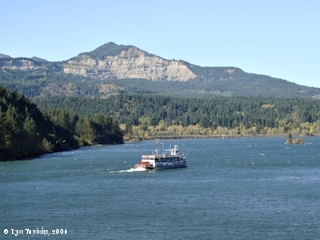 Currently it is owned by the Port of Cascade Locks, the "Columbia Gorge" is operated by the Portland Spirit. 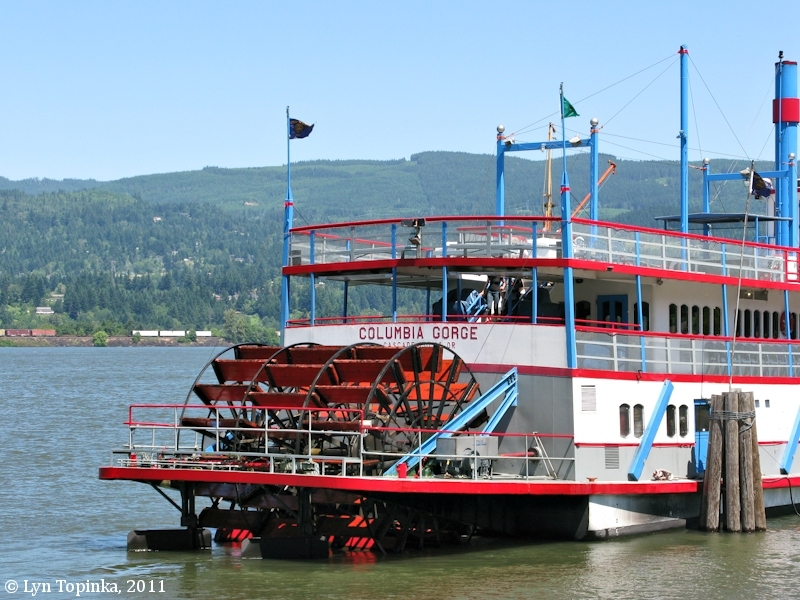 Tours on the Columbia River include sightseeing from Cascade Locks and Stevenson to the Bonneville Dam. 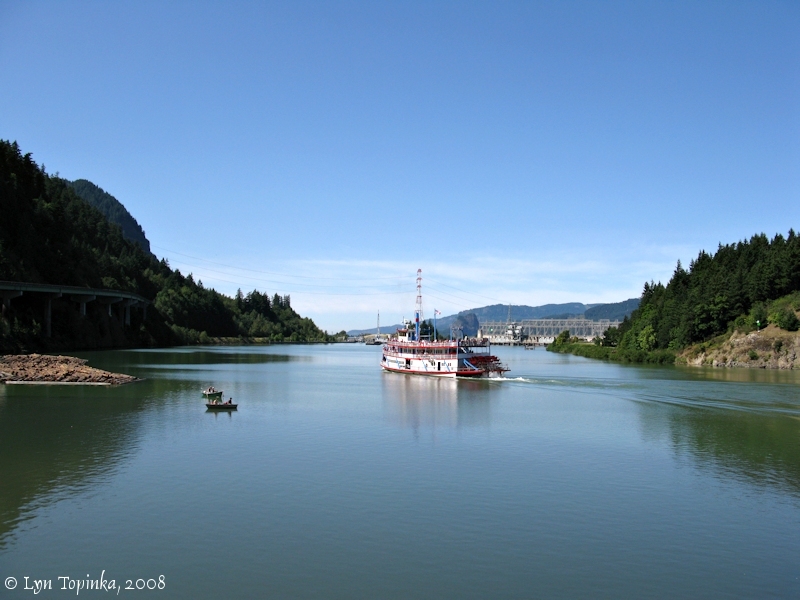 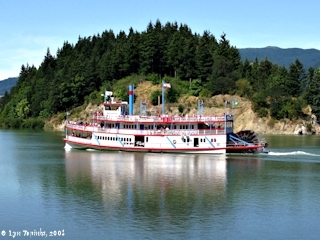 Click image to enlarge Columbia River, Greenleaf Peak, Washington, and Paddleboat, as seen from Cascade Locks, Oregon. 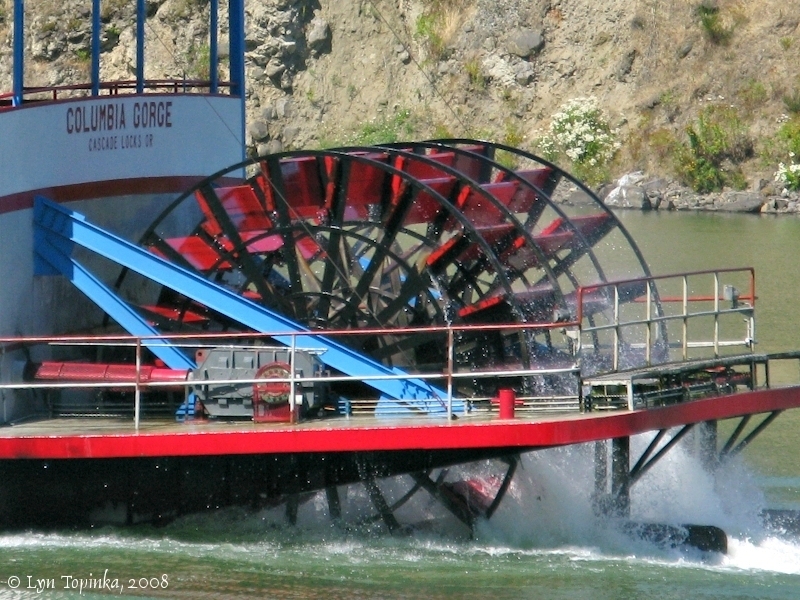 Image taken October 21, 2006. Click image to enlarge "Columbia Gorge" Sternwheeler, as seen from the mouth of Eagle Creek. Image taken August 23, 2008. 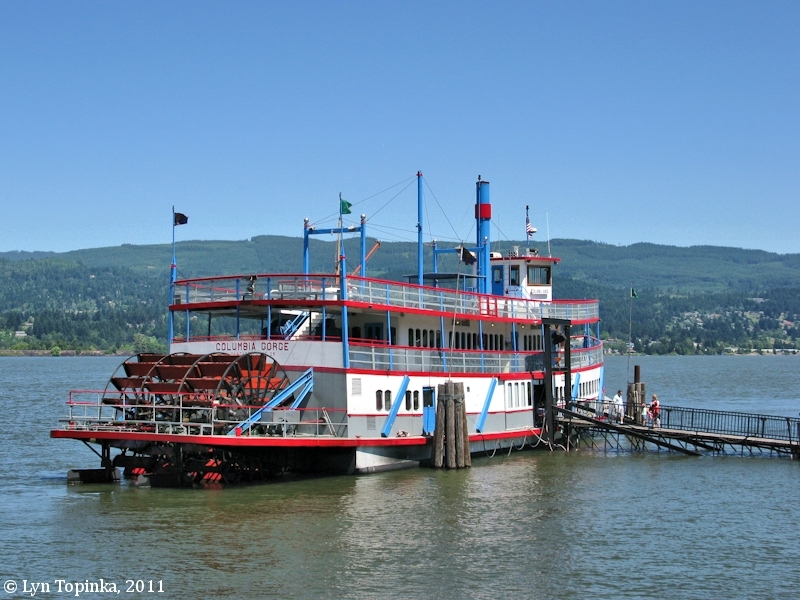 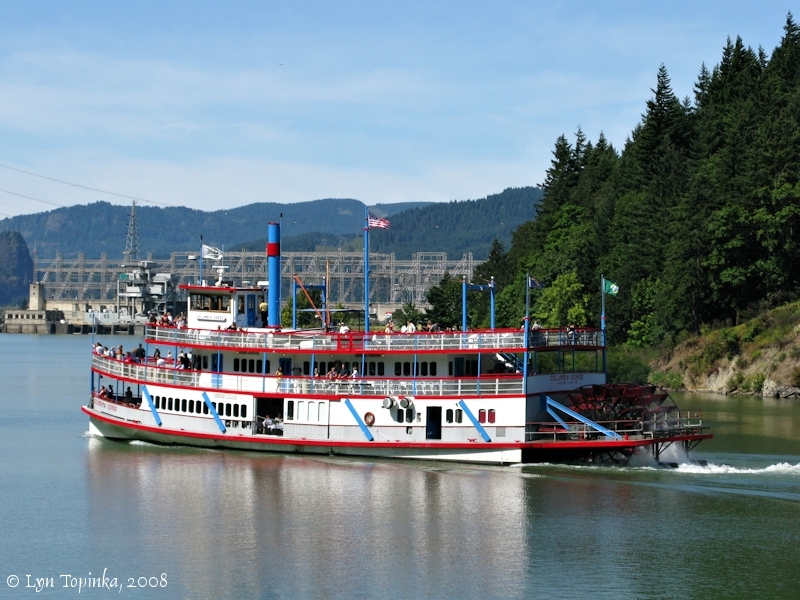 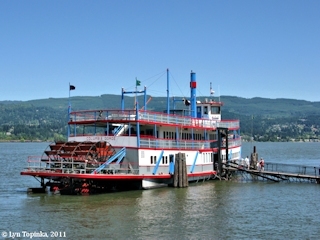 Click image to enlarge "Columbia Gorge" Sternwheeler, Cascade Locks, Oregon. Image taken July 2, 2011.